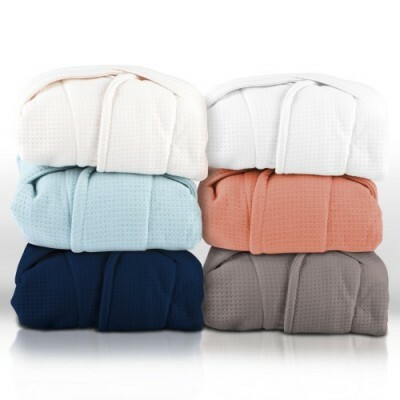 Slip on a little luxury with our super absorbent high quality waffle robe. Absolutely perfect for after a shower or at the spa after the hot tub or sauna and even great for sitting by the pool, too! This versatile robe with great colors to choose from is light weight, super absorbent, durable and easy to care for 100% premium quality cotton. This Lightweight Waffle Robe Is for Both Women and Men. Impressive Waffle Weave Look On the Outside and Super Absorbent Terry Cloth On the Inside. 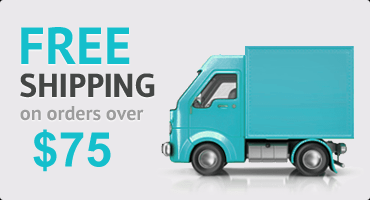 • Colors: Aqua, Charcoal, Coral, Cream, Navy Blue, White. • Subtle Softness and Absorbent: Made of the finest 100% Premium Quality Cotton for Softness and Super Absorbent. • Features: Terry Belt, Two Front Patch Pockets And Fold Back Style Sleeves. 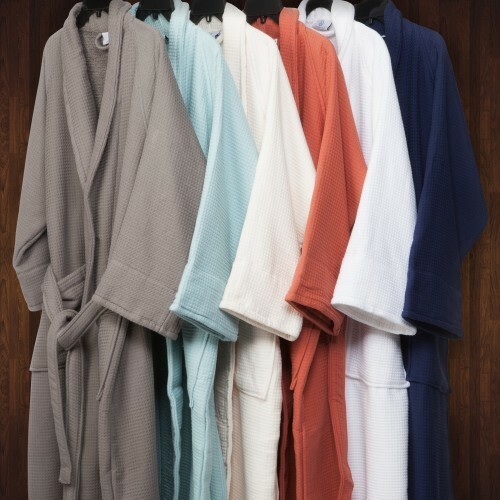 • Easy Care: These Beautiful Robes are Colorfast and Machine Washable. For Drying, Tumble Dry Low and Remove Them Promptly from Dryer. Always Follow Care Label Instructions for Best Results.